If you've been dreaming about the day when you could afford a luxury car like a great Porsche, we can make it possible here in the Los Angeles area. Our selection of pre-owned luxury cars here at our Thousand Oaks, CA Porsche dealer serving Los Angeles might have the perfect fit for your budget and your desires. Search through our pre-owned luxury lineup, then visit today and we'll help you to find the Porsche of your dreams. With so many editions of high-end Porsche models, including versions of the Cayenne, Cayman and Panamera, among others, you'll have plenty of options here in the Los Angeles area. We offer some handy online tools to help you apply for financing and get started on that part of the process, helping you figure out what kind of used luxury car, from the Porsche brand or any other that we feature, will work for your budget. 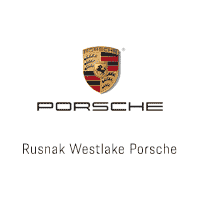 Head on over to Rusnak/Westlake Porsche today and explore your options for your next pre-owned luxury vehicle.